When it comes to selecting stone and mulch for your outdoor landscaping project, there are too many options to count. What will look best with the color of my house? Will the colors of the flowers still be visible with this kind of mulch? Will it be difficult to remove the pine straw from these stones? 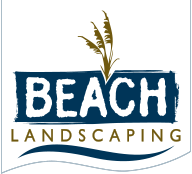 Beach Landscaping is here to answer all of the questions that you have! Whether it is black lava rock, red quartz, Ozark granite, red mulch, brown mulch, or black rubber mulch, we will find a solution that fits your needs and wants. Are you considering rubber mulch? Rubber mulch can last up to 10 years or longer when installed properly. It also has the benefit of retaining moisture in the soil by blocking evaporation. It is more expensive than wood mulch, but over time it’s typically worth it. Color, texture, and type are three important factors when considering mulch for your home. We can help steer you in the right direction as to what would pair well with the color of your home or sturdiness of your flowers if you need assistance. Beach Landscaping has the tools at hand to acquire and spread whichever type of mulch or stone you are looking for!